How Far is Sharvika Villa? Sharvika Villa one of the prestigious projects developed by Sharvika properties which is a very notable landmark around the surroundings of Tambaram West, Chennai. 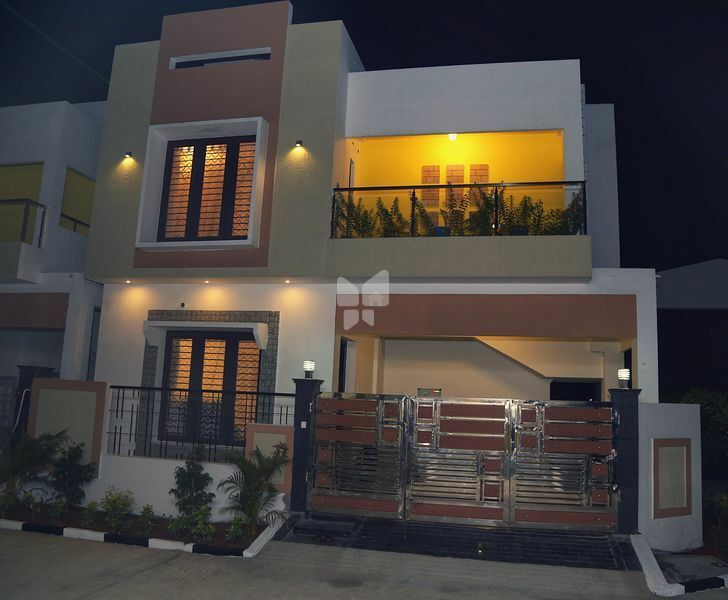 This project offers carefully crafted 3BHK villas as for sale at Tambaram West, being developed with Ready to Occupy Villas it is well planned efficiently in a CMDA Approved Layout. 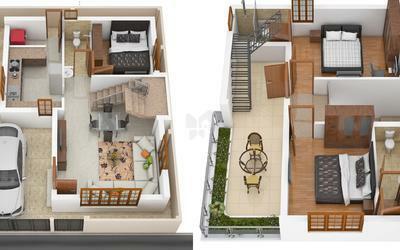 The project hosts in its lap exclusively designed Residential Villas, each being an epitome of elegance and simplicity. Placed in one of the busiest neighbourhoods the project is developed with a load of amenities. The elegant design of the villas will offer soothing interior and exterior. CMDA Approved. Serene Residential Locality. Aesthetically designed and constructed with high standard, in addition to this Borewell is also there, so no need to worry about the water problems. The project is located in Tambaram West, one of the well-developed localities of the Chennai city which has all the comforts which make the resident's life hassle-free. Being residents of Sharvika Villa, the residents will be surrounded by International schools, CBSE Schools, Banks, Super Market, Hospitals. Along with all these advantages and 3BHK villas at Tambaram West, Sharvika Villa offers many useful amenities, some of them are Landscape Gardens, Security, Power Backup and Children's Play Area. Ceiling height will be maintained at 10 feet top of the roof level. Internal wall in the living dining, bedrooms, kitchen & lobby will be finished with 1 coat of primer & 2 coats of Putty & Plastic emulsion . Ceiling will be finished with 2 coats of putty and emulsion. Exterior faces of the building will be finished 1 coat of primer & 2 coats of emulsion (Ace / Apex as per Architect's Specification). Flooring living , dining,kitchen and bedrooms will have 2*2 vitrifired tiles. Bathrooms & utility will have matt finish ceramic tiles. Car parking ares will have antiskite tiles. Staircase will have granite withh SS railings. Kitchen top with granite and S.S.Sink. Provision for chimney will be provided. Provision for water purifier will be given. CP fitting be parryware / jagwar or equivalent. One side loft will be privides. Concealed wall mixer in all bathrooms and shower will be provided. Sanitary fitting will be parryware or equivalent brand. CP fittings will be parryware or equivalent brand. Provision for geyser will be provided in all toilets. Main door is of teak wood frame with teak wood door Godrej or equivalent locks, tower bolts, door viewer, safety latch,door stopper etc. Chemically treated Door of 7 feet height with enamel paints having internal side water proofed. Wooden Frames with wooden shutters. Orbit / Finolex or equivalent cables and wiring . Switches and sockets will be Roma or Equivalent . Telephone and Dth Points will be provided in living room and master bedroom and for other 2 bedrooms only provision wil be provided. Split air conditioner points will be provided only for master bedroom for other 2 bedrooms and living rooms concealed pipeline and box will be provided without wiring and MCB. Modular plate switches, MCB and ELCB (Earth leakage circuit braker) system .